Military Vehicle Electrical Connector - Male - 12 Gauge Wire! Brand New!! 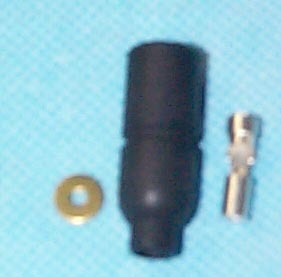 Military Vehicle Rubber style, electrical connector. This is the male end frequently used to make coneections of 12 Gauge wire. This style is used on the M151, M35, M54, and Humvee series just to mention a few. National Stk #: 2590-00-695-9076.